President Rodrigo Duterte visited the 4th ID Philippine Army at Camp Evangelista, Patag, Cagayan de Oro City yesterday, August 9, 2016. The media and other people have waited long hours because the president didn’t came on time because of his busy schedule. He visited the army at the 4th ID PA to talk to the army and assure the education of the soldiers’ kids, assure medical benefits at the AFP Medical Center and the quality of medical services for the army. He also talked about achieving lasting peace in Mindanao by way of talking with the NPA groups and the Moro groups for a lasting peace in Mindanao. But the tough talking President won’t let the talks on Drugs pass by specially recently, that Justice Secretary Maria Lourdes Sereno is trying to stop him by commenting on the legality of his Narco-politics list including the at least seven members of the judiciary that were tagged by the President in the illegal drug trade. They are Judge Mupas of Dasmariñas, Cavite; Judge Reyes of Baguio City; Judge Sabilo of Iloilo City; Judge Casiple of Kalibo, Aklan, Judge Rene Gonzales, Judge Exekiel Dagala and Judge Roberto Navidad of the Calbayog City regional trial court. He threatens to declare martial law if Sereno blocks war against drug. He said that he already know about the list of the drug lords and protectors way before he took office as president of the Philippines. He defended that the list is credible. “Please, don’t push me, hindi ako gago (I’m not stupid). If the illegal drug trade continues, would you rather that I declare martial law,” Duterte said. 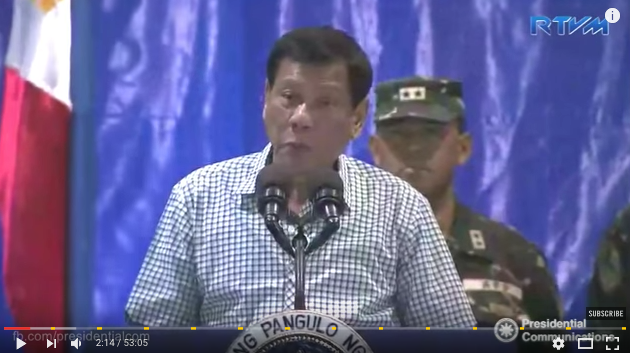 Duterte said that he never accused anybody, except to read the names and it was not accusatorial utterance, rather it was in consonance of his duty as a President of the Philippines, to let everybody know who are the people around you who are involved in drug trade sendicate. Assuring Sereno that he has basis for naming the seven judges with alleged links to the drug trade. Duterte said security officials would not provide him intelligence information without validating them. “The military and police do not just relay information that would be damaging to a person. There is nothing personal here. 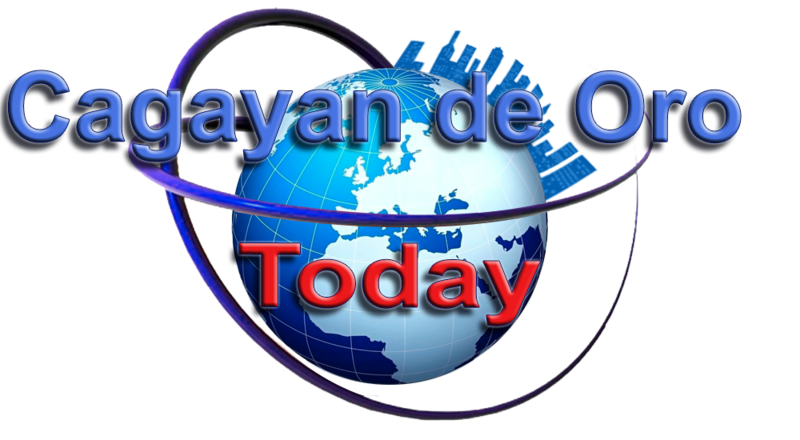 You (people in the list) do not have any business with them and they do not owe anything to you,” he said. “Ma’am huwag tayo magbolahan and don’t force the issue. I respect your comment but it is a rigmarole to me,” he added. I warn you. Don’t create a crisis because I will order everybody in the executive department not to honor you. 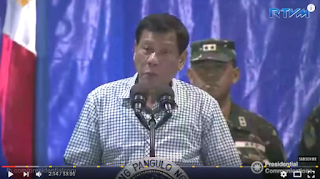 Reacting to the inclusion of a dead man in the list of narco-officials, Duterte said the intelligence community was not provided with information about the deaths of people.